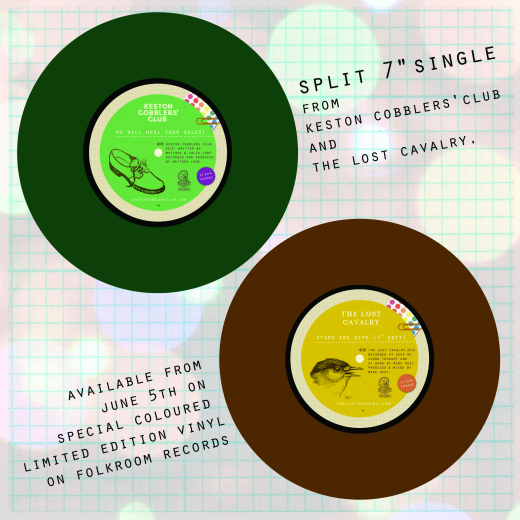 3/6/13 : Split single on green vinyl with Keston Cobblers Club is now available! Our new split 7 inch vinyl is now available! The We Will Heel Your Soles/Stars Are Ripe 7 inch is available exclusively on limited edition coloured vinyl, is limited to only 200 copies and is available now from the the Folkroom Records Bandcamp page. We hope you like it! 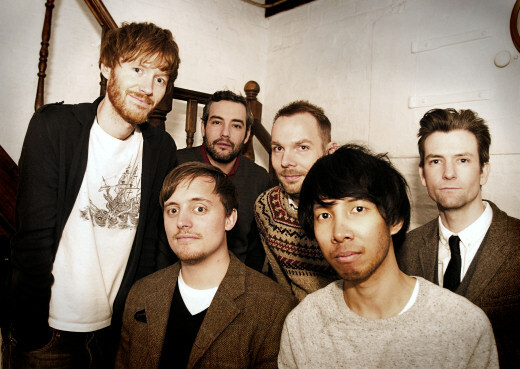 London based folk bands Keston Cobblers' Club and The Lost Cavalry will be putting out their joint debut vinyl release on June 5th. The We Will Heel Your Soles/Stars Are Ripe 7 inch will be split between the two bands, with each showcasing a brand new and previously unreleased track. Available exclusively on limited edition coloured vinyl, the double a-side single will be the first chance for fans to hear either song - with digital downloads available only to those who purchase the vinyl. 'Stars Are Ripe' will appear on The Lost Cavalry's debut album Three Cheers For The Undertaker, due for a September release on Folkroom Records, and 'We Will Heel Your Soles' provides a sneak peek at Keston Cobblers' Club's self-released forthcoming EP A Scene of Plenty, available from July 1st. Limited to only 200 copies, and hand-packaged with lots of little extras by the bands themselves, the We Will Heel Your Soles/Stars Are Ripe 7 inch will be available via the Folkroom Records store, and at the bands' gigs. To celebrate the single release, both The Lost Cavalry and Keston Cobblers' Club will be performing a special, fully acoustic gig at The Queens Head in London on June 5th. The free gig will be hosted as part of the Folkroom label's fortnightly residency at the pub and will feature a rare collaborative set from both bands. 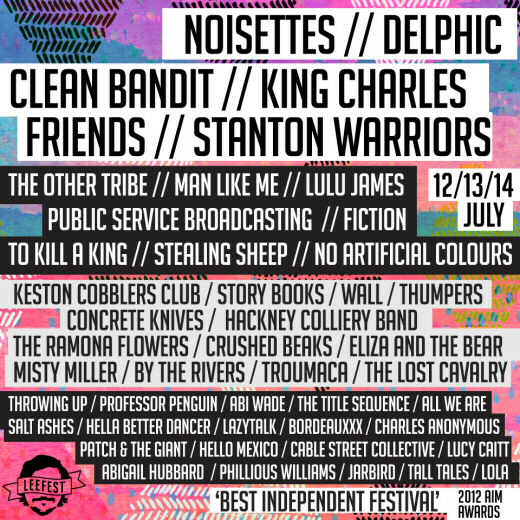 We're really pleased to announce that we'll be playing at LeeFest this July - winner of the Best Independent Festival in the 2012 AIM awards and a festival that's close to the bands hearts! Website line up page: leefest.org.uk/lineup. Expect a bit of a no-holds-barred special show with guest musicians and all the trimmings. The Lost Cavalry are pleased to announce that we have signed to London-based label Folkroom Records. We're excited to finally share the news that The Lost Cavalry will be teaming up with Folkroom Records to release our debut album this Autumn. Since forming four years ago, we've been working relentlessly towards our first full-length release and cannot wait to bring it to you later this year. Folkroom Records grew from a fortnightly gig into the centre of a London scene recently championed by Time Out, and we feel that both the label and ourselves have similar ambitions for the record. We'll be releasing more details of the album in the coming months, and will be joining the line-up on the Folkroom Stage at Home Farm Festival this June, with our now label mates Patch and the Giant, Lucy Cait and Sophie Jamieson amongst others!